Confused by the Internet Marketing Puzzle? Our marketing team will complete your businesses marketing puzzle for you so that you can reach new customers instantly and locally who are searching for your services online. 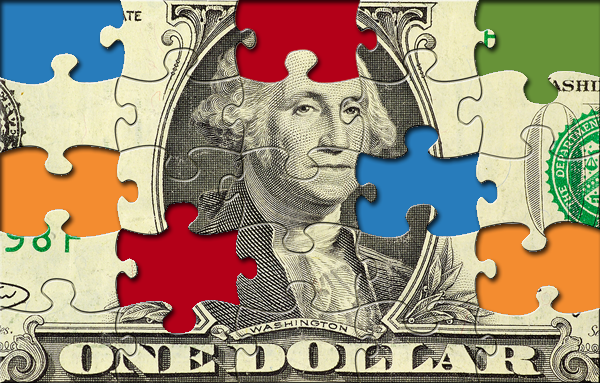 Let Us Solve Your Online Marketing Puzzle for You Today! Begin attracting new qualified buyers to your website tomorrow! You decide upon the exact geographical location of the customers you want to target and choose precisely the amount of money you want to spend each day on your marketing campaign. Learn more about Pay Per Click Marketing today! Begin improving your customer relationships today through the use of digital relationship advertising. Improve your brands visibility and customer loyalty by the use of connecting and engaging with your customers online. Learn more about Social Media Marketing today! Research Piece #1: Search Marketing, the largest segment of all interactive* marketing is expected to grow from $1.75 Billion Dollars spent in 2010 to approximately $3.15 Billion Dollars in 2014. By contrast; it is expected that all forms of Social Media marketing will be 10% of all online marketing dollars spent in 2014. Marketing Puzzle Recommendation: Adjust your search marketing (Local, Organic and Pay Per Click) budget to 60% of your total interactive* marketing budget. Research Piece #2: Social Media marketing including Facebook, Twitter, Linkedin, Youtube, Digg, Foursquare, Photobucket, Last.fm, etc. is expected to grow to approximately 10% of the total interactive marketing dollars spent when compared to Search Marketing over the next five years. Marketing Puzzle Recommendation: Our interactive marketing team will manage and integrate your incremental marketing budget increases to include social media into the overall fabric of a total search marketing managed program. Research Piece #3: In February 2011, nearly half of the entire United States population viewed an online video advertisement. The total U.S. Internet audience engaged in more than 5 billion online video viewing sessions during the month of February 2011 as well. Marketing Puzzle Recommendation: Take advantage of the popularity of sites such as YouTube by incorporating video marketing into your online marketing budget. Research Piece #4: Mobile Marketing through use of devices such as iPhone, iPad, Android, Blackberry, etc. are becoming increasingly popular as venues for interactive marketing. Marketing Puzzle Recommendation: Mobile Marketing should be considered as part of your overall marketing strategy.